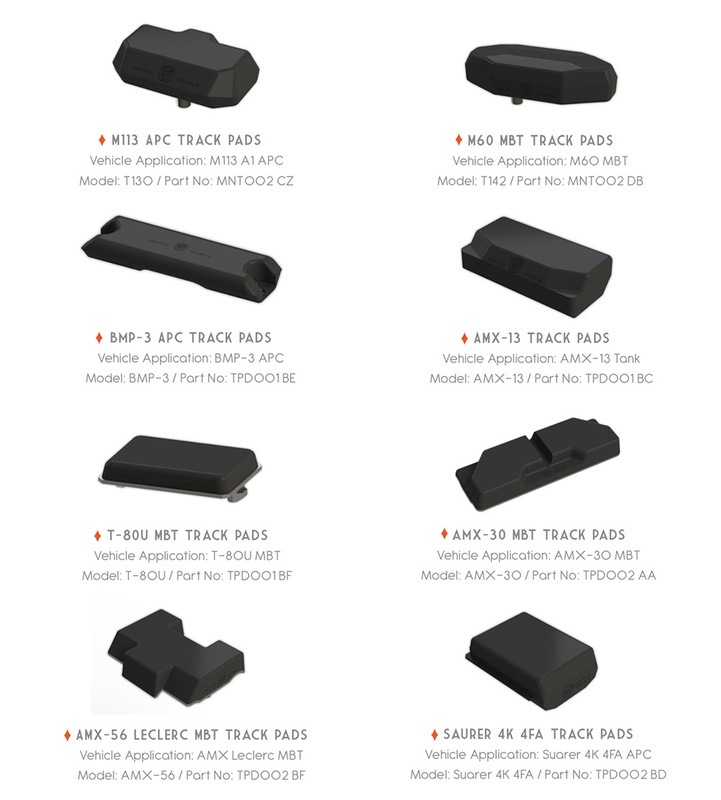 Manufactured & supplied Rubber Track Pads for T-80 UK MBT, TOR M2 Guided Missile Carriers etc. Manufactured & supplied various custom made track pads according the the requirements of the client. ORF offers both overhaul & refurbishment of worn-out track pads & Road Wheels.